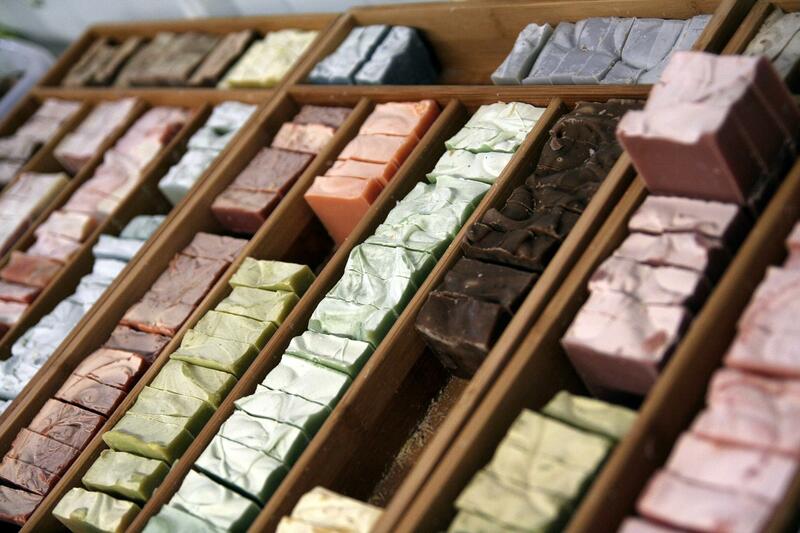 The Jonas family makes natural Goat Milk Stuff soaps, lotions and more on their Indiana farm. Benefits of Goat Milk Stuff soaps and lotions are many since goat milk naturally contains selenium, vitamin A and alpha-hydroxy acids that are typically found in high-end beauty products. Goat Milk Stuff announced that Detroit’s Fox 2 News Morning Show featured company founder PJ Jonas, husband Jim and their 8 children, ages 7 to 18, in a feature news report about how the Midwest family worked together on their Indiana farm to build a thriving business making and marketing goat milk soaps and lotions. WJBK-TV Fox affiliate news anchor Taryn Asher told viewers that Goat Milk Stuff “began when a Midwest mom, PJ Jonas, began making natural goat milk soap for her children as a way to avoid the chemicals of store brands. Well, now it has grown into a thriving business” with consumers across the USA and around the world. The founder of Goat Milk Stuff said in 2015 Goat Milk Stuff plans to expand its array of goat milk soaps, lotions, bath and other products. PJ told Fox 2 News Morning that when she realized that her goat milk soaps helped her husband’s fingers stop cracking and splitting from cold weather and working outside, she knew she was had created an excellent soap. She then marketed it at local fairs to earn extra money for family expenses and since that humble start, Goat Milk Stuff has grown dramatically. 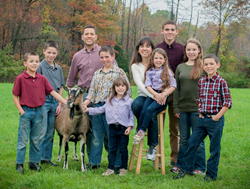 In recognition of Goat Milk Stuff success, PJ has won the Leading Mom in Business national competition of StartupNation.com, Indiana’s EDGE entrepreneur award with her husband Jim and most recently she received Southern Indiana’s Small Business Entrepreneur Award. Goat Milk Stuff markets natural chemical-free soaps, lotions, bath products, laundry soap and more that are wonderful for skin care and especially good for sensitive or problem skin including dryness, eczema and other skin conditions. PJ, a former engineer, and Jim who taught science, home-school their children. The Jonas family makes the natural, chemical-free soaps, lotions and other Goat Milk Stuff products on their 36-acre Indiana farm, where they also run a store and guest tours, and have plenty of room for the children to play and the goats to graze. The Jonas family and Goat Milk Stuff maintain an active social media presence with a growing following at Facebook.com/GoatMilkStuff, at YouTube.com/GoatMilkStuff and at Twitter.com/GoatMilkStuff. Online at http://www.GoatMilkStuff.com, the Scottsburg, Indiana company makes and markets all-natural Goat Milk Stuff™ products including goat milk soaps, lip balms, lotions, bath bombs, laundry soap, gift sets and more. For media or entertainment, contact Brian Dobson at DobsonPR.com or BD (at) DobsonPR.com. Goat Milk Stuff goat milk soaps are luxuriously creamy & leave skin clean and moisturized. Gift packs at GoatMilkStuff.com include the popular Sensitive Skin Pack, above, along with Beauty Pack, Twin Packs, Bath Fizzy Variety Set and more. 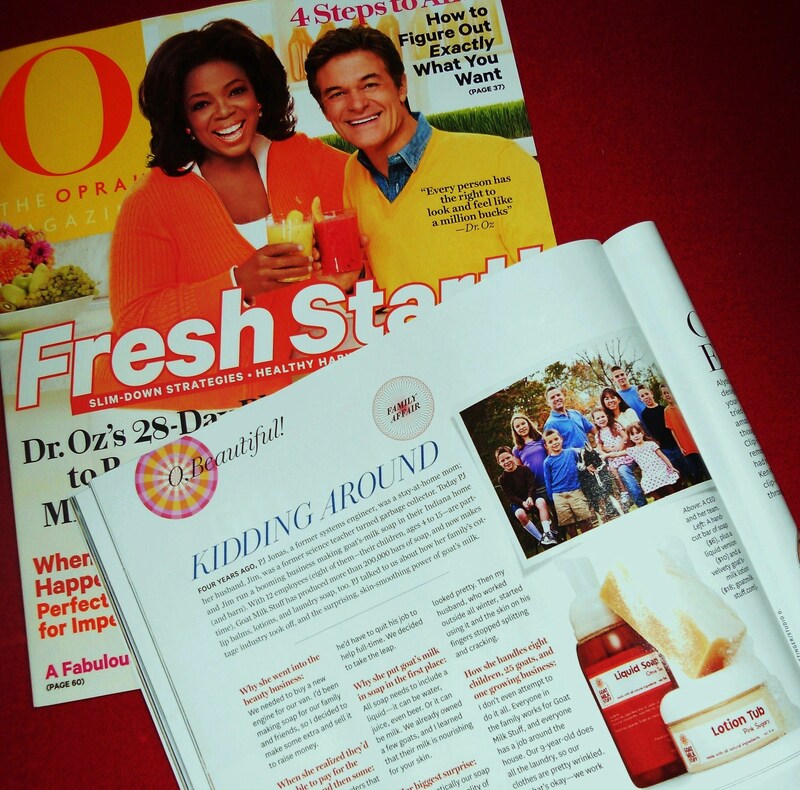 Oprah Magazine featured Goat Milk Stuff soaps and lotions with picture of the Jonas family.